The community is invited to join a conversation about the role of athletes as advocates for political and social change. The event is free and open to the public and will take place on Monday, April 9, 2018 from 7-9 pm at the Eliot School Performance Center in Needham. William (Smitty) Smith, Executive Director of the National Center for Race Amity at Wheelock College in Boston. 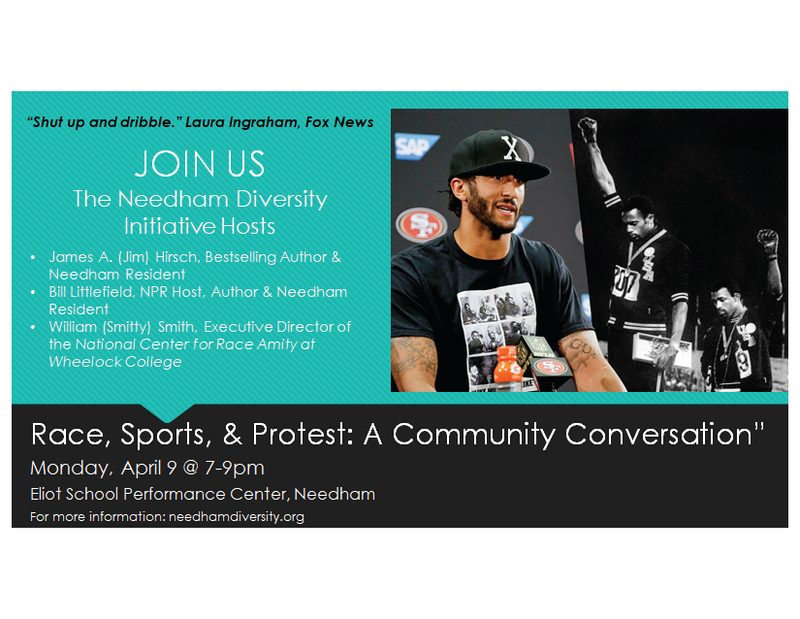 This special event is sponsored by: the Needham Diversity Initiative, World of Wellesley, Needham Human Rights Committee and the Needham Free Public Library. For moreinformation is it www.needhamdiversity.org.